The Cheddar family are celebrating New Year’s Eve in a Scottish castle! Surely even Atticus can’t find trouble there. "I am an elderly gentleman close to 70 who happens to love cats, and my wife as well as I find the Atticus books extremely amusing as well as well written, so carry on Jennifer Gray, you are doing well. Best regards from admirers from Denmark." "A cat. In Scotland. After treasure. An amazing adventure story. Magpie mischief and a lady hungry for the riches. This is an epic book! :D"
"Atticus Claw was once a great cat burglar. He found a family which loved him although he was a stray and he became a police cat. 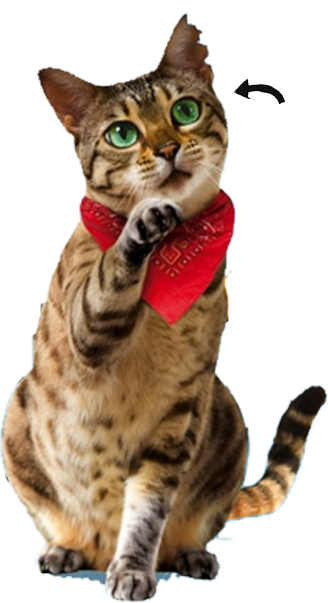 The Cheddars (Atticus’s family) think that Atticus is a good detective as he has solved lots of mysteries (described in other books about Atticus Claw) to become the world’s greatest cat detective. When the Cheddars visit their cousin in Biggnaherry for Hogmany (New Year’s celebrations in Scotland) Atticus finds himself investigating a strange creature frightening people on the misty moor. He needs to solve the mystery or people will become poor and an evil lady will be rich. The clocks are ticking and time is running out. 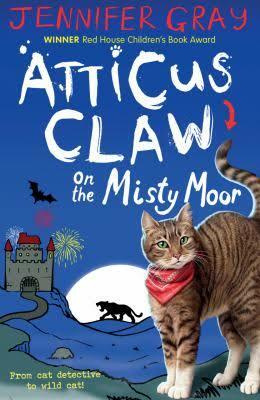 Can Atticus save Biggnaherry from the mythical creature called the Cat Sith? Atticus Claw on the Misty Moor by Jennifer Gray I like the great descriptions the author (Jennifer Grey) uses in this book. This book is very funny and full of happy and puzzling moments."